Stories to keep you awake. Happy Halloween everyone! I am actually writing this in September and putting it in the queue to self-publish because I couldn't wait to share this rather perfect mesh of Cinderella, zombies, and yes, Halloween. I didn't want to forget it either and at the moment of writing this, Halloween is still a ways away but I know it will arrive all too quickly! I posted recently about Once Upon a Rhyme: Volume I of the Charming Tales and the upcoming Happily Never After: Volume II of the Charming Tales by Jack Heckel. Now I have a guest post about the books to share with you. Recently, SurLaLune was nice enough to mention the release of my debut novel Once Upon a Rhyme, the first volume of The Charming Tales, in a blog entry. In that post a mention was made of the fact that a number of recent releases have been told from Prince Charming’s perspective, and it got me thinking about the original inspiration for the novels, and how quixotic is the journey from concept to page. The Charming Tales originally came from my obsession with Gregory Maguire’s novels, and particularly from a vacation spent reading Confessions of an Ugly Stepsister. Although nothing about Maguire’s prose is simple, I was enthralled with the way simply switching perspective could change the way you experienced a story. That in turn led me to reread, cover to cover, my very ragged copy of The Annotated Brothers Grimm by Maria Tatar. I love this volume, because I learn something new every time I read her commentary. Anyway, there I was reading these stories I knew so well and imagining how they might be different if told from the perspective of one or other of the characters, when I came to my favorite Grimm story, The Seven Ravens. If you’re unfamiliar with the tale of The Seven Ravens, and I know it isn’t among the pantheon of Cinderella or Snow White or Beauty and the Beast, it is the story of a girl who takes up a quest to rescue her brothers, who have been cursed to live as ravens. It is an unusual story because the girl goes on her quest entirely alone and unaided. It is also unusual in that it lacks the presence in even a peripheral way of a romantic interest for our heroine. In the annotated volume, the story is preceded almost immediately by Cinderella, with its unnamed, but earnest, shoe-bearing prince hero, and is followed immediately by Little Red Riding Hood with its woodcutter deus ex machina. The absence of a rescuing hero figure in The Seven Ravens struck me, and I thought what would happen to the stories of Cinderella or Snow White or Sleeping Beauty if their “Prince Charmings” never showed up? From this kernel of a thought the Charming Tales grew, but as they do between conception and execution the vision changed. As you probably don’t know, I am the combined persona of two co-authors, John Peck and Harry Heckel, or as I call them, Thing 1 and Thing 2. Thing 1’s original thought was how sad and tragic would it be for Prince Charming, a man destined to be a great hero, if he failed. To what depths of despair would he be driven? How tormented would he be as the fairytale spun on without him? However, when Thing 1 told Thing 2 about the idea of the story, Thing 2 didn’t see the story as a tragedy, but as a comedy. And the more Thing 1 and Thing 2 talked the more the comic potential of a book based around Prince Charming became apparent. New questions replaced the earlier ones. How insufferable would a man be if he knew he was destined to be a great hero? How quick would he be to fulfill his quest when to undertake it would also be to risk his reputation and his celebrity should he fail? To what lengths would such a man go to regain his reputation once the “rescue” of the maiden, his sole raison d’etre, had been taken from him? And what about the princess, wouldn’t she be a little miffed to miss out on her “prince charming” moment? Another wonderful thing about exploring Charming’s altered character arc from a place of humor rather than tragedy is that it allows us to play fast and loose with the ridiculousness of the literal fairytale world. So, even though the main plot of Once Upon a Rhyme may resemble a twisted version of Sleeping Beauty, with a slumbering maiden being rescued from the clutches of a dragon, it was also possible to engage in a game of fairytale mixology a la Into the Woods and weave in other elements as well, including Cinderella’s famous glass slippers, the dwarfs from Snow White, an aged beast from Beauty and the Beast, a family of gruff billy goats, trolls, talking frogs, and so on. At times, and in the best traditions of fairytale, the story and characters seemed to take on a life of their own, telling themselves rather than being told. It brings to mind one of my favorite quotes from one of my favorite authors, Terry Pratchett, “People think stories are shaped by people. In fact, it is the other way around.” At least for me The Charming Tales certainly prove Pratchett’s point, shaping itself to fit a mold that even I could not have foreseen. The Fourth Pig (Oddly Modern Fairy Tales) by Naomi Mitchison (Author), Marina Warner (Introduction) falls into the category of "everything old is new again." Newly rereleased this week in the US and UK [see The Fourth Pig (Amazon UK) ], the book is a fascinating collection of writings originally published in 1936. Sometimes its easy to forget that fairy tales have always been fodder for retellings and pastiches with the media regularly clamoring about the "new" popularity of fairy tales. But in reality, the popularity is always there, it just wanes and ebbs a bit in its visibility in popular culture. 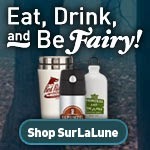 I've been running SurLaLune Fairy Tales for 16 years now and I never run out of fairy tale fodder--the opposite is true and I simply don't have the bandwidth to cover it all. Oddly Modern Fairy Tales is a series dedicated to publishing unusual literary fairy tales produced mainly during the first half of the twentieth century. International in scope, the series includes new translations, surprising and unexpected tales by well-known writers and artists, and uncanny stories by gifted yet neglected authors. Postmodern before their time, the tales in Oddly Modern Fairy Tales transformed the genre and still strike a chord. Jack Zipes, Series Editor. I had actually heard of Mitchison's work but I had never seen a copy or hunted one down--I'm a trained librarian and have those skills--but that bandwidth issue again. So I am thrilled to see it reprinted in this series to make it available for a larger audience once again. It is graced with a fine introduction by the ever knowledgeable Marina Warner, helping readers understand the greater scope and context of the contents almost 80 years after it was first published. I received a review copy and enjoyed exploring the offerings within its pages. Mitchison was not a romantic, but a social activist and politically motivated, and so the tales found within are far from sweet and may surprise readers with some of their themes. For me it is especially fun to find lesser recognized tales and ballads offered within, from Katie Crackernuts--Mitchison gives us a play of that tale--to Soria Moria Castle to The Snow Maiden. Warner considers it fitting that Mitchison is finding a new audience in the Oddly Modern series for she considers oddly modern an apt description of Mitchison's writing style. Mitchison rewrites well-known stories such as “Hansel and Gretel” and “The Little Mermaid,” and she picks up the tune of a ballad with admiring fidelity to form, as in “Mairi MacLean and the Fairy Man.” Her experimental approach is encapsulated in the title story, which is a dark departure from “The Three Little Pigs.” And in the play Kate Crackernuts, the author dramatizes in charms and songs a struggle against the subterranean powers of fairies who abduct humans for their pleasure. Marina Warner, the celebrated scholar of fairy tales and fiction author, provides an insightful introduction that reveals why Mitchison’s writing remains significant. Half Upon a Time by James Riley is an Amazon Kindle Book Deal of the Day today only for $1.99. It is usually in the $6-7 range and this is the first time it has been bargain priced. I didn't own it yet although it has been on my alert list since its release. The book is the first in a trilogy that includes Half Upon a Time, Twice Upon a Time (Half Upon a Time Book 2) , and Once Upon the End (Half Upon a Time Book 3) . The reviews for all three books have been strong and the books sound like an entertaining read for all ages although it is marketed for middle readers up to young YA. Life’s no fairy tale for Jack. After all, his father's been missing ever since that incident with the beanstalk and the giant, and his grandfather keeps pushing him to get out and find a princess to rescue. Who'd want to rescue a snobby, entitled princess anyway? Especially one that falls out of the sky wearing a shirt that says "Punk Princess," and still denies she's royalty. In fact, May doesn't even believe in magic. Yeah, what's that about? May does need help though--a huntsman is chasing her, her grandmother has been kidnapped, and Jack thinks it’s all because of the Wicked Queen . . . mostly because May’s grandmother might just be the long-lost Snow White. Jack and May's thrillingly hilarious adventure combines all the classic stories—fractured as a broken magic mirror—into one epic novel for the ages. Quite Contrary by Richard Roberts is an Amazon Kindle Book Deal of the Day today only for $1.99. It is usually in the $4.99 range. Well, Mary is lost. Mary is lost in the story of Little Red Riding Hood, and that is a cruel and murderous story. She's put on the red hood and met the Wolf. When she gives in to her Wolf's temptations, she will die. That's how the story goes, after all. Forget the Wolf's temptations, forget the advice of the talking rat trying to save her - she will kick her way through every myth and fairy tale ever told until she finds a way to get out of this alive. Her own way, and no one else's. Hansel and Gretel Standard Edition (A Toon Graphic) by Neil Gaiman (Author), Lorenzo Mattotti (Illustrator) is released this week. There is another edition, too, the Hansel and Gretel Oversized Deluxe Edition (A Toon Graphic) for those who are interested. Hansel and Gretel: UK Edition won't be released until December 11th. But at least it's not another year away. I've provided images of a few illustrations and one page of text--because Gaiman's prose is most definitely a selling point!--as well as the final notes at the end of the book. Imagine my delight when I saw SurLaLune included as a resource. Thank you! It happens more and more every year but I am still always a little shocked by it. Best-selling author Neil Gaiman and fine artist Lorenzo Mattotti join forces to create Hansel & Gretel, a stunning book that’s at once as familiar as a dream and as evocative as a nightmare. Mattotti’s sweeping ink illustrations capture the terror and longing found in the classic Brothers Grimm fairy tale. Neil Gaiman crafts an original text filled with his signature wit and pathos that is sure to become a favorite of readers everywhere, young and old. No more danger on the road. Okay, this one I am not so sure about. Do these really sell car safety to you? I like the idea but I am not so sure that these are effective for the product. Perhaps if they were in Jeeps somehow? This one makes my head hurt a little. So I'll just hit publish and let you decide! But really, is Pinocchio really that ubiquitous as a fairy tale to the world, too? These ad campaigns say so. Guess it is that Disney influence, too. And when you think about it, Jack and the Beanstalk is really the other best option and he is very English, too English for Brazil, I imagine. Although Pinnochio is Italian. The highest safety features for the adventurous family. The Dragon & the Knight: A Pop-up Misadventure by Robert Sabuda was released this week. Don't bother to read what I have to say, just go buy it now. That's what I do whenever I see a new book released by either Sabuda or his partner Matthew Reinhart (whose proposed Sleeping Beauty has been MIA for a few years now, but oh well). In other words, Sabuda and Reinhart are autobuys for me. I love pop-up books and they are two masters in the field. I preordered The Dragon & the Knight: A Pop-up Misadventure much earlier this year and didn't even really look at the vague description available then. Didn't much care. Just knew I wanted it. So when the book arrived on my doorstep this week, imagine my surprise to see that it actually belonged on SurLaLune when I looked at its pages. I don't even remember fairy tales being mentioned in the description when I ordered it. Several are found within, but not really to enjoy for reading, but for viewing. Essentially, a dragon and knight race through the fairy tale book with unexpected and increasingly messy results that mean fun for us the reader/viewer. And while the pop-ups in his books are always enjoyable for all ages, this book actually has very little readable text, so it reads well with little ones, too, unlike some of the other pop-up fairy tale offerings available. The pop-ups are surprising but there is an extra twist ending, too, which will delight readers. And make you wonder about your assumptions at times. Since this is technically a fractured fairy tales book, a knowledge of fairy tales will help for young readers but even a basic familiarity with Disney versions of the tales will suffice. And it's fun to have Aladdin represented in a book like this, too, where it seldom is. Its illustration is most reminiscent of Disney, actually as you can see in the image I am sharing here. There are also spreads for Rapunzel and Snow White, not pictured here, which were two of my favorites as well as the final pages which cannot be revealed here to avoid ruining the twist ending. Overall, a great gift book for the holidays for young or old. Young children will enjoy but it's fragile so they will need supervision. It's also stunning how low priced the book is for the level of paper engineering required to produce it. I am trying to decide who on my holiday and birthday lists will enjoy it most. Channeling Wonder: Fairy Tales on Television (Series in Fairy-Tale Studies) edited by by Pauline Greenhill and Jill Terry Rudy is the newest release in the Series in Fairy-Tale Studies from Wayne State University Press. If you are interested in fairy tale in film, especially TV, this is a book for you. This is one of the first academic book publications--perhaps the first actually--to have academic articles about both NBC's Grimm and ABC's Once Upon a Time. Other shows are represented, too, and not always the usual suspects. Jim Henson's The Storyteller series is studied. So is Rodgers & Hammerstein's Cinderella (1957 Television Production) --if you know your Cinderella history--that musical was first produced for television with Julie Andrews and has been produced for television in a few remakes since then. Even PBS's Super Why! is included which has had several fairy tale retellings in its series. Other tales and their interpretations are within, too, from Snow White to Bluebeard to Hansel and Gretel. And, never fear, not just American television is included. While the articles tend to be centered around Hollywood, there are others, such as offerings about Japanese interpretations. I considered retyping the table of contents, but since it is viewable by looking inside the book on Amazon, I decided to spare myself the time. But take a look there and see what a great resource this book is. I received a review copy of the book and these lists are where I spent my initial time with the book. I love lists like this and the ones in this book are great. I found a few gems I didn't know about. So yes, I highly recommend this one. There are not many resources for academic studies of fairy tales in television and this is a substantial contribution to that area of study.